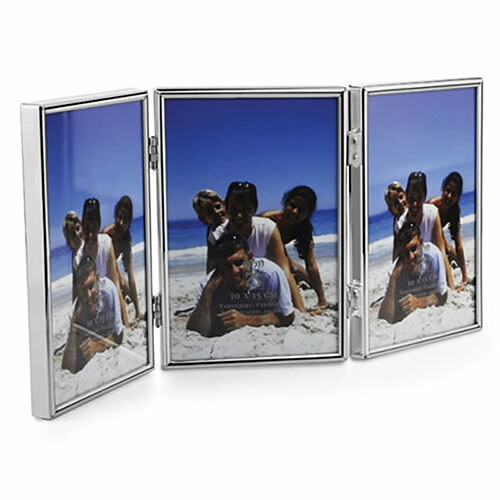 Classic folding triple picture frames with fine quality silver plated finish. These attractive desk accessories are ideal for engraving and are offered with FREE ENGRAVING of text and logos from Business Gifts Supplier. We also offer fixed price UK delivery, so order these classic desktop triple photo frames in bulk and benefit from low prices and low-cost delivery.